These pictures shall give you an idea of what scouting looks like in Wuppertal. 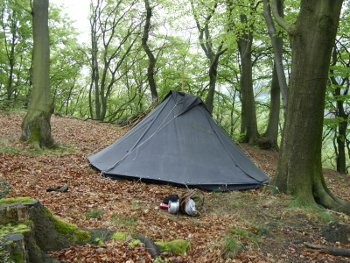 For hiking and camping we use traditional black tents like the one on the left. 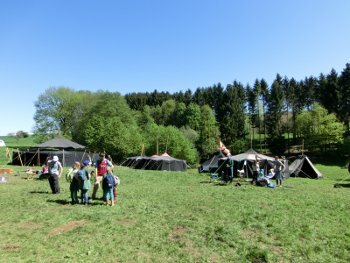 These tents are typical for scouts in Germany. 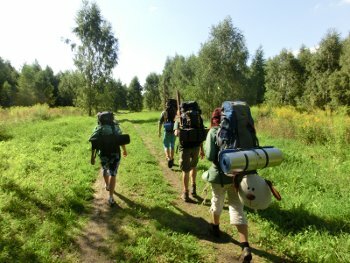 One of our tyipcal activities is hiking - just being on tour with a tent and a back pack for some days. This doesn't necessarily mean that we are just walking - it is also possible to take a train or use our bikes. 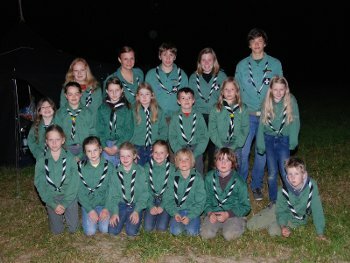 Our groups consist of about 5 to 15 scouts. Groups start at an age of about 8 to 10 years and stay together (they grow older with the group). There is just one group that has a fixed age: Our beavers (5-7 years). 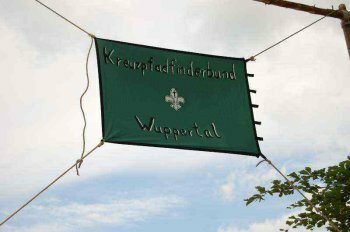 The Kreuzpfadfinderbund (KPF) already exists since 1961. Today we are about 180 scouts who meet in our three rooms (which are all owned by the catholic or protestant church). 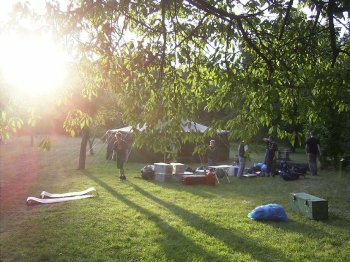 Every year at Pentecost, we have a big camp with nearly all our members. The image shows just a little part of that. In summer, we usually visit other countries for two or three weeks. The picture was taken in Prague. Often we visit England, as we have found friends at 18th Chesterfield. We also do a lot of sport. 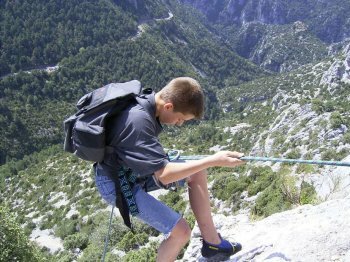 Here we are climbing in southern France. An important element of our work is music. We like to sing - especially at a campfire, but it should be said that there our songs are mostly traditional and some are slow and romantic, so there are some differences to what campfire looks like with international groups. 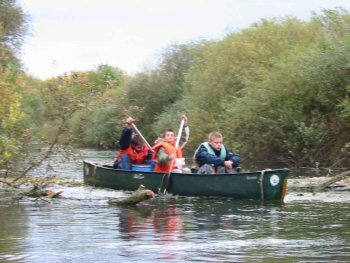 We are not a sea scout group, but from time to time we do kanu-trips or build rafts on our own.